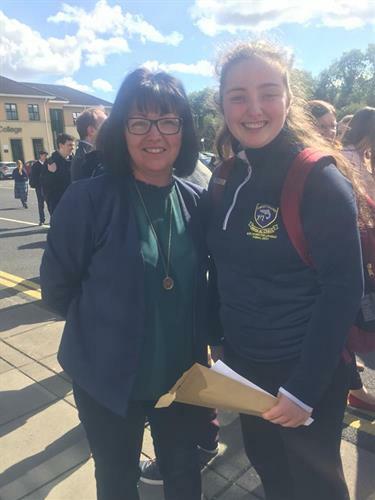 Congratulations to the 130 students and their families who received JC results on Wednesday 12th Sept.
We are very pleased with the results of Junior Certificate exams 2018. Some 130 students undertook the state exam in June and they have performed well across all subjects and levels. I commend the teachers for their work with students and encouraging them to take higher level papers. The results in many subjects are significantly above the national average in terms of students taking higher level papers and achieving honours grades. 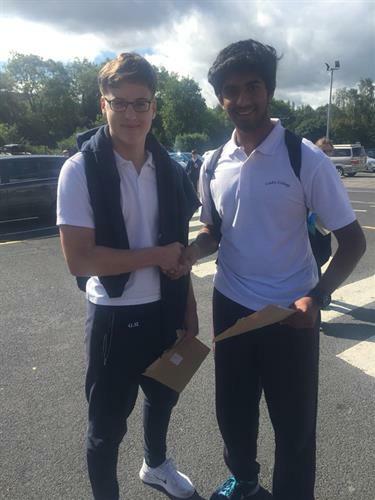 Students achieved the A Grade in 15 subjects offered in the school. 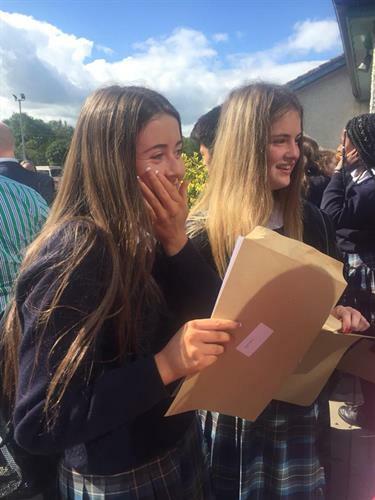 With excellent results in Maths, Science, Religion, CSPE, French, German and Home Economics. Over 40 students achieved multiple A grades in their exams. The best individual result was Katharine Nicolenco who achieved 9As and 2 Bs. Well done to Katharine, her family, and her teachers. 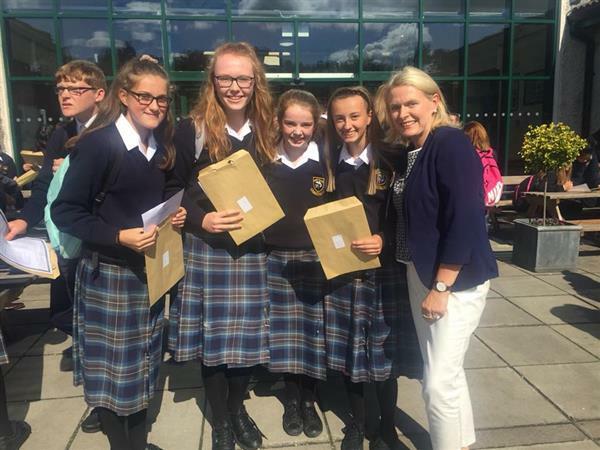 The new Junior Cycle is now reflected in the English results with new grades being awarded. All student will receive a JCPA certificate later this year to show the CBAs taken in 2nd year and 3rd year English. 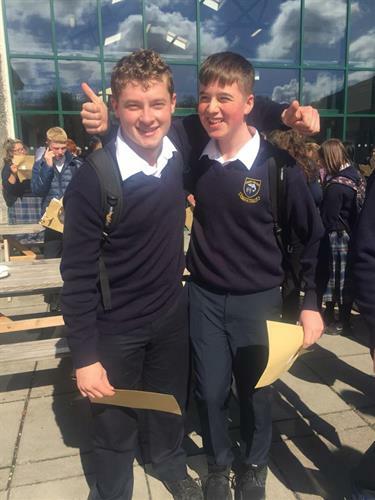 It will also record other significant learning outcomes over the junior cycle. 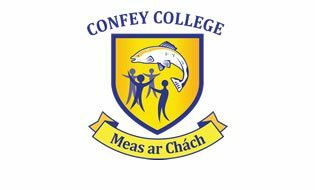 I would like to the Yearheads, Ms Coburn and Ms Scully, the learning support team and guidance counsellors for their work with this group. I thank the parents for their support and encouragement of their children in partnership with the school. I wish all the students continued success in their studies at senior cycle.